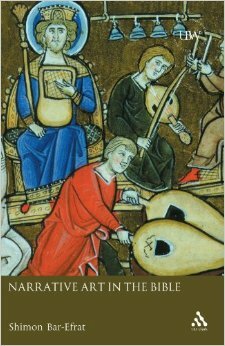 This book offers a systematic and comprehensive review of the fundamental literary aspects of biblical narrative, investigating the characteristics and points of view of the narrator, the shaping of characters, the structure of the plot, time and space, and finally the style. Many examples are provided to clarify the issues discussed as well as to shed fresh light on the narratives. $48.88 FREE Shipping. In Stock. Ships from and sold by Amazon.com. Gift-wrap available. Your cost could be $0.00 instead of $48.88! Get a $50.00 gift card instantly upon approval for the Amazon.com Rewards Visa Card. Apply now. Interested in the Audiobook Edition? If you’re the author, publisher, or rights holder of this book, let ACX help you produce the audiobook.Learn more. Those who have been introduced to biblical Hebrew narrative by simpler books such as those by Robert Alter, Adele Berlin, or Jacob Licht will find a great next step in this masterful work. Bar-Efrat treat the standard subjects of narrative criticism (plot, setting, characters) in beautifully developed chapters. The depth of application to the biblical text is superior to the more introductory works listed above. He is particularly fond of the Books of Samuel and is a brilliant reader of this literature. Those who carefully digest Bar-Efrat's work will have their reading of the Samuel, Daul , and David stories transformed. A tremendous addition to this study is Bar-Efrat's final chapter on "style." Here he develops an understanding of narrative criticism which reveals its vital connections to other contemporary literary methods, particularly rhetorical criticism. This is a great book that exceeded my expectations. It arrived on time, clean and strong copy. I am likely to buy again. Kuddos!